Palestinian thriller set in occupied Palestine. Omar a sensitive young baker who is in love with Nadia and must face painful choices about life and manhood. 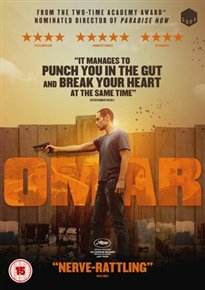 On joining a group of freedom fighter, Omar takes part in an attack on an Israeli guard and he is captured but later released after agreeing to work for the authorities.